The IVR riders’ jerseys highlight the 106 genes that cause eye disease that have been discovered and the groups mission to develop targeted therapies for each of them. 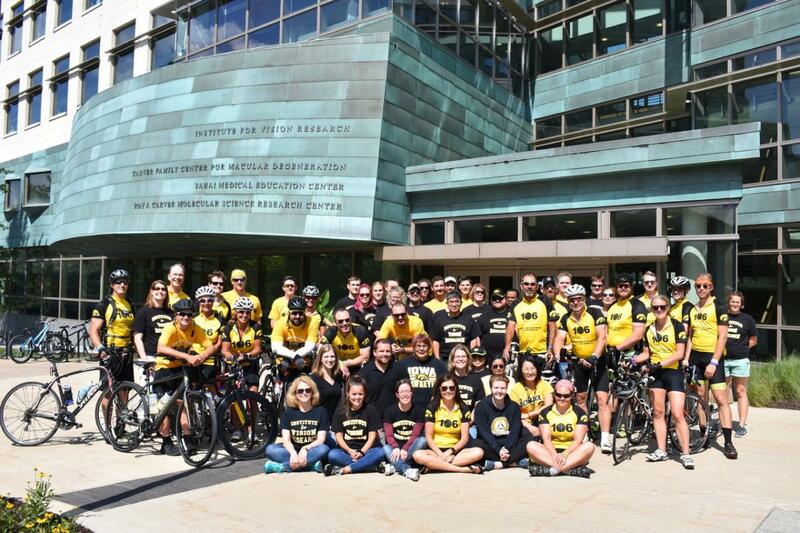 Several Glaucoma Research Center team members joined the ride including John Fingert, Wes Goar, and Val Sheffield. You can have a look at a daily blog of from the ride on Facebook.